Carlos Sainz Jr (ESP) Renault Sport F1 Team RS18. French Grand Prix, Friday 22nd June 2018. Paul Ricard, France. Lewis Hamilton was fastest in both Friday practice sessions at the French Grand Prix at Circuit Paul Ricard. 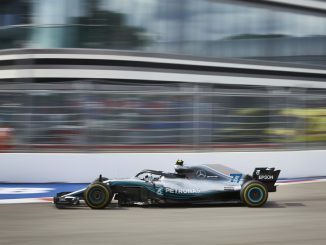 The current world champion was ahead of his Mercedes teammate in the morning session, before a water leak cut Valtteri Bottas’s FP2 short, allowing Red Bull’s Daniel Ricciardo to finish the afternoon second. Despite Le Castellet being described as a power track, Red Bull appeared to have the better of Ferrari. 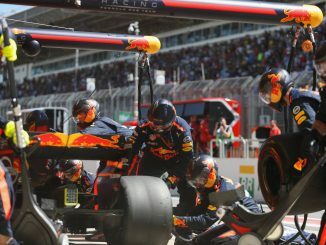 Max Verstappen’s progress was hindered by damage in the morning, but he ended FP2 in third place, just 0.03s slower than Ricciardo. 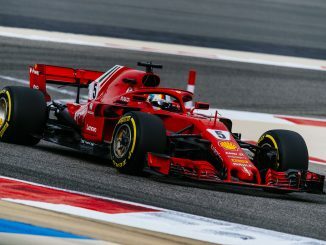 Kimi Raikkonen was the faster of the two Ferrari drivers in both practices, with Sebastian Vettel unable to get a flying lap in until late in FP1. The Finn stayed ahead in the afternoon despite suffering a spin midway through the session. FP1 was cut a few minutes short when Marcus Ericsson was involved in a high speed crash, colliding with the barrier after losing the back end of his car. After the crash, flames began to emerge from his Alfa Romeo Sauber, resulting in so much damage that the Swedish driver wasn’t able to take part in the second session. Charles Leclerc fared better in the sister Sauber, ending the day 14th fastest ahead of both Force Indias, the Williams cars and Brendon Hartley. There was another stoppage in the afternoon when a tyre came off Sergio Perez’s Force India, with the wheel bouncing breaking free and bouncing down the track. The marshals were able to recover the tyre before it caused any damage, and Force India managed to get the Mexican back out before the end of the session, but he missed around 30 minutes of track time. In the other Force India, Esteban Ocon was one of a number of drivers to struggle with the windy conditions, resulting in him running wide on a couple of occasions, as well as traffic frustrating him, leaving him towards the bottom of the standings. 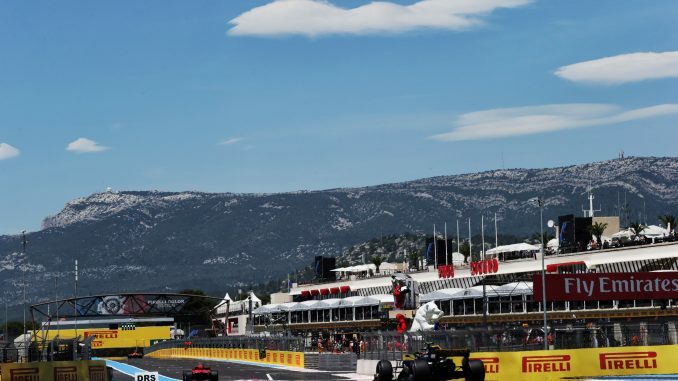 Outside the top three times, it was Haas who staked a claim to be best of the rest, with Romain Grosjean ending both sessions in sixth in his first ever home Grand Prix. Kevin Magnussen was slightly slower than his teammate, but was in the top 10 both times. Grosjean was joined in the top 10 by compatriot Pierre Gasly, who found consistent pace in the Toro Rosso in both sessions, ending the morning eighth before finishing 10th after the break. Hartley ended FP2 over a second slower than Gasly, but missed the end of the session after suffering an apparent engine problem which led to flames coming out of his exhaust. McLaren made a slow start to the day, with Stoffel Vandoorne among those struggling to keep the car on the track in the morning. Both cars finished in the bottom five in FP1, but Fernando Alonso improved in the afternoon to end the session eighth, just 0.25s slower than Bottas, while Vandoorne was 13th, although he was nearly a second slower than his teammate. Renault will be hoping they can find more pace in front of the French fans tomorrow after neither car managed to make it into the top 10 in either practice. Nico Hulkenberg couldn’t get his flying lap right in the morning, leaving him 18th while Carlos Sainz was 11th, but the German managed to climb up the leaderboard after the break, finishing the day less than 0.02s ahead of Sainz. Williams still appear to be struggling for pace, with Sergey Sirotkin the slowest car in the morning, with Lance Stroll just a couple of places above him. The Russian improved to 18th in FP2, but that was with Ericsson skipping the session and Perez missing time, although he closed the gap to Stroll to 0.03s.